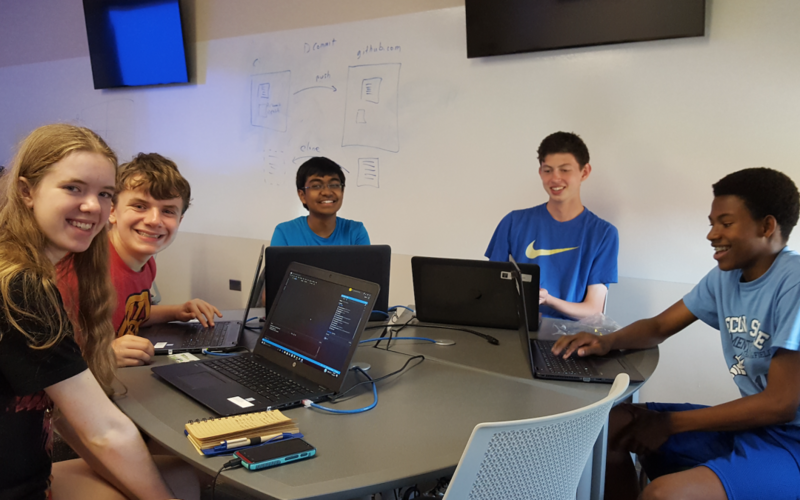 COLUMBUS, OHIO, September 6, 2018 – Capital University will host the 2018 Columbus Regional TECHCORPShack on Friday, November 16, 6pm-9pm and Saturday, November 17, 9am-4pm for high school students in grades 9 through 12. This event, sponsored by AT&T, will give high school students in the Columbus, Dayton, and Zanesville regions the opportunity to learn about computer science in a fun, engaging and inclusive environment. During the event, students will learn how to utilize MIT App Inventor to explore the world of mobile app development to create an app that tackles a real-world need or problem. Students will also have the opportunity to meet and work with peers, technology professionals and advocates from their community. Cash prizes will be awarded to winning teams in each region. Regional winners will go on to compete in the final competition on Saturday, December 8 in Columbus, Ohio. Each member of the team that wins the finale will receive $500. TECHCORPShack is a TECH CORPS signature program. TECH CORPS is a nonprofit organization dedicated to ensuring K-12 students have equal access to technology programs, skills and resources that enhance early learning and prepare them for college and career. To apply for this event, students should visit bit.ly/TCHack18. If you’re interested in volunteering, please visit bit.ly/TCHVol2018. The deadline to apply is Wednesday, October 10. For more information about TECH CORPS, visit www.techcorps.org.